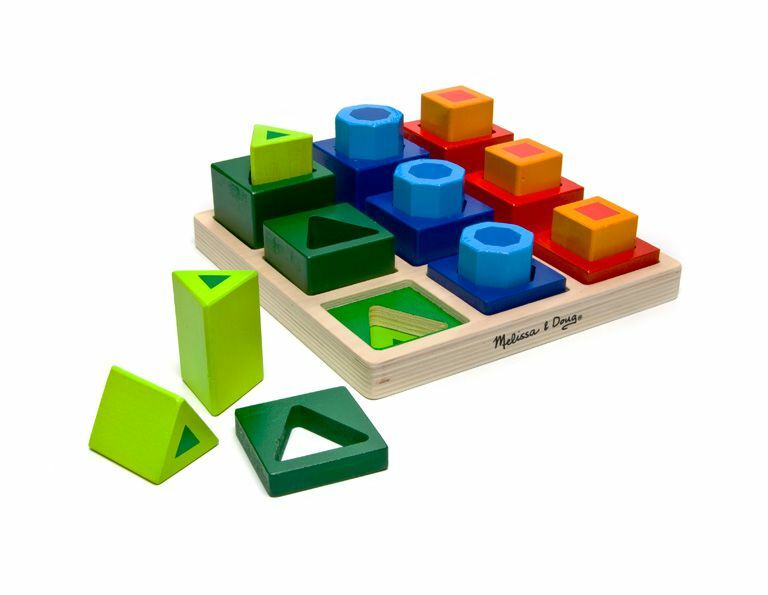 -18 wooden blocks in a variety of shapes, colors and sizes -Durable wooden frame invites shape-fitting trial and error. 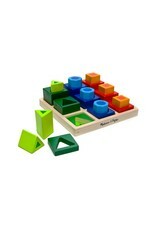 -Promotes color and shape recognition and problem-solving skills. -Helps children differentiate between sizes and shapes. -Extension activities are included to encourage exploration, learning and fun!